Recently, while I was looking for pure rosehip oil products online, I discovered the company Akamuti, a UK based company (“Little Tree” or “A Little Bit of Medicine in the language of Zambia, Africa). To be honest I was very intrigued by this unique name. Looking through their web site I was really impressed from the variety of their products (and afterwards amazed from their quality and effectiveness). They create handcrafted products (natural 100%) such as face creams, cleansers, oil treatments, soaps. All created in small batches to ensure the freshness and the life of their products. 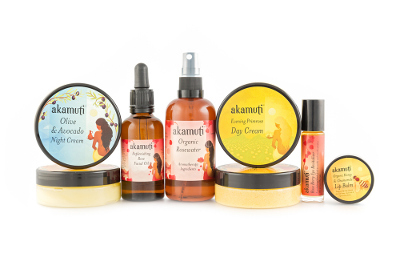 Plus the Akamuti is totally against all forms of animal testing and ensure that all their raw ingredients are sourced from animal friendly suppliers. A company that respects animals and life in general surely has my respect also. I have a sensitive/redspot/mixted skin (in my 40s) and I choose 3 products from Akamuti, the Sweet Orange Cleansing Cream, the Replenishing Rose Facial Oil 50ml and the Rose Beauty Mask 100g. 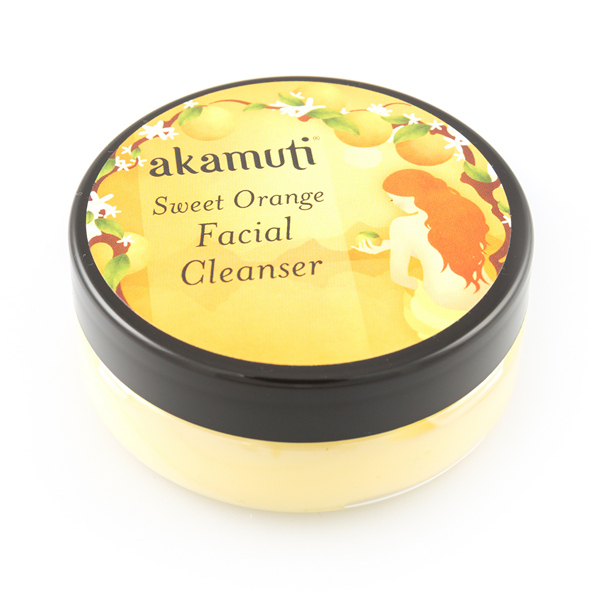 Sweet Orange Cleanising is a rich creamy cleansing cream, smells fruity and is an incredible combination of sweet orange with geranium. When I first applied it, my hands got very greasy to be honest but it can be cleaned very easily. TIP: It is very helpful if you apply it with a makeup brush or a small wax applicator. I applied it and left for 5 minutes as the instructions said and then I rubbed it off my face with a wet tissue (you can use a wet face cloth also) and I washed my face. My skin was really clean, soft (very) and visibly brighter! Suitable for sensitive and dry skin. 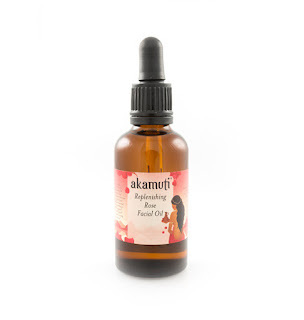 Replenishing Rose Facial Oil, I choose this oil because it combines a high quantity of precious rosehip seed oil with beautifying rose to provide hungry skin with nutrients and essential minerals. I used it for one month (4-5 drops every morning-it’s enough, or after a deep facial mask) and I can say that my skin looks very radiant, hydrating, smooth and after a month I notice that wrinkles in my eye area, were less visible. (Very excited!). Surely one of my favorite face treatments! 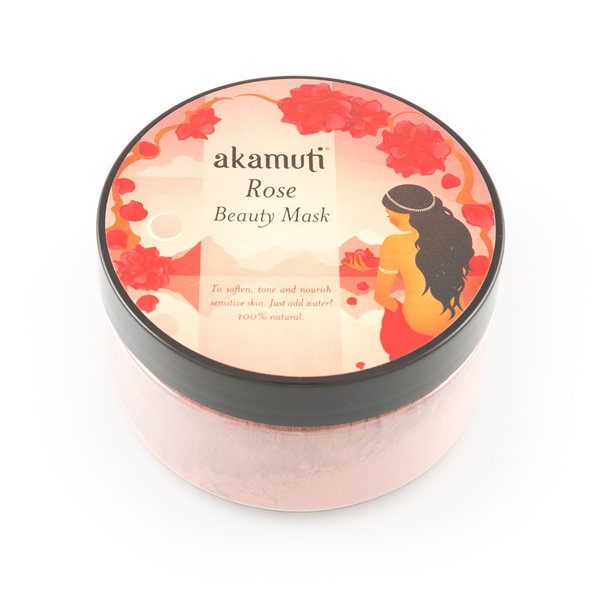 Rose Beauty Mask is a detoxing mask for sensitive, dehydrating, problematic skin. It’s a fragrant rose powder which combines, purifying, mineral rich rose clay and the softening qualities of marshmallow and chamomile as the ultimate skin treat. I used the mask many times and my skin from the very first time looked refreshed, clean, I also noticed that my pores were minimized and most important my skin was so soft. Really soft and healthy. Honestly this is what I’m looking from a face mask. I complete the treatment with my replenishing rose oil and my moisturizer.